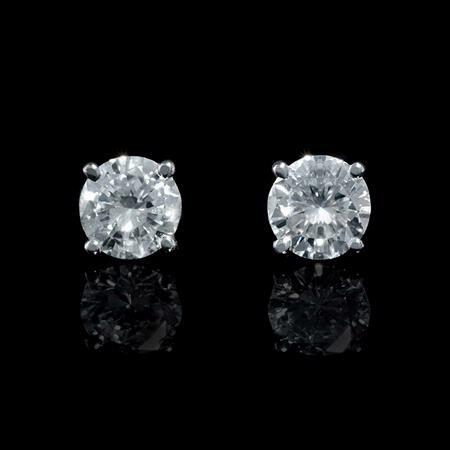 Diamond Details: 2 Round brilliant cut white diamonds, prong set, F color, VS2 clarity and excellent cut and brilliance, weighing .90 carat total. 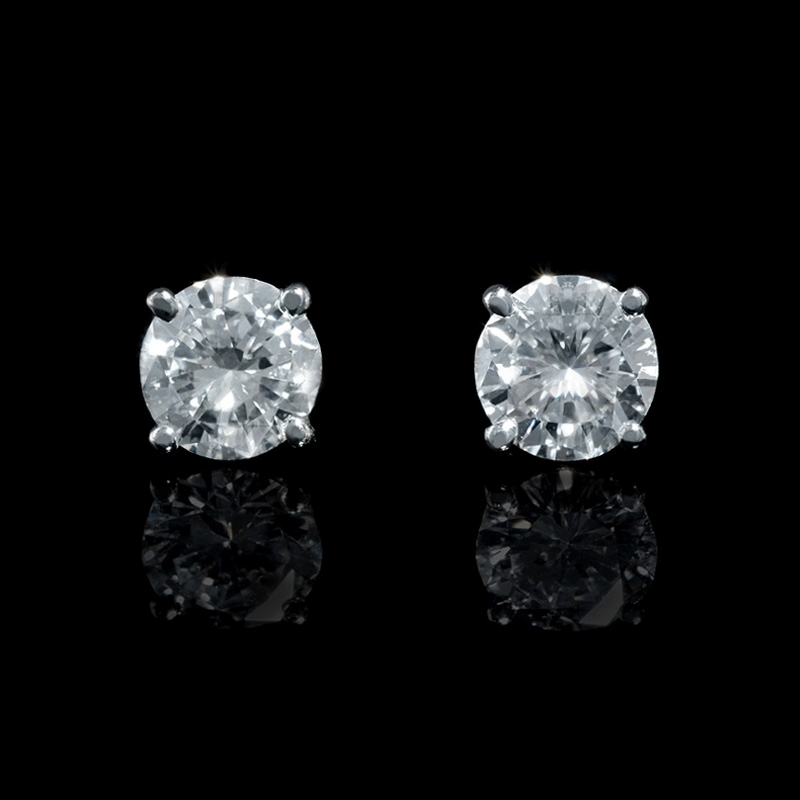 This lovely pair of 14k white gold studs, features 2 round brilliant cut white diamonds, prong set, of F color, VS2 clarity, and excellent cut and brilliance weighing .90 carat total. 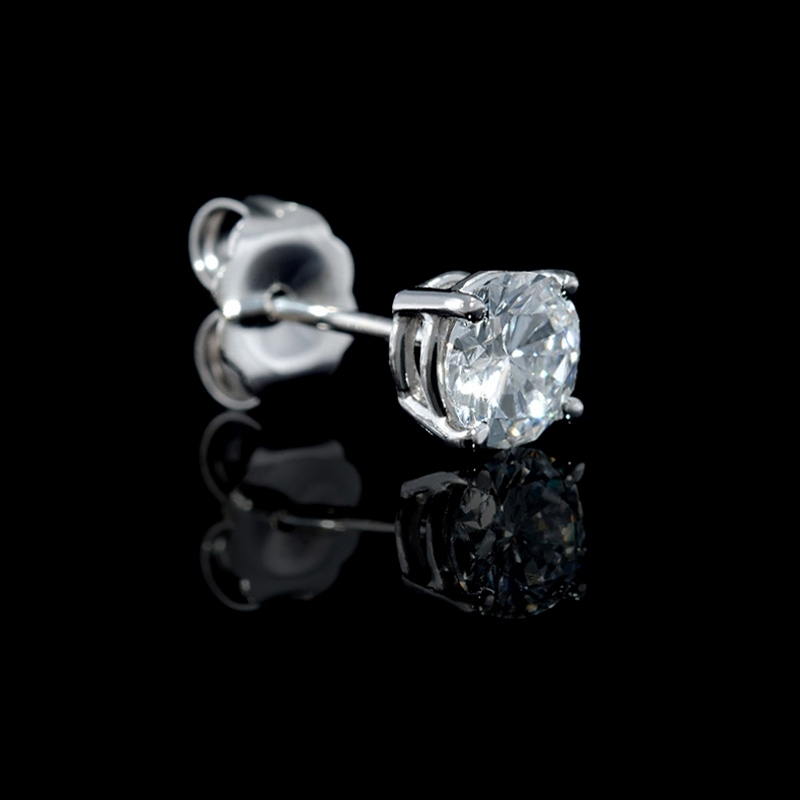 These diamond stud earrings features posts and push backs.